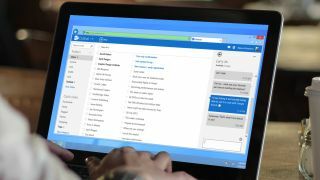 If you use Microsoft’s online email service Outlook.com, then you’ll be pleased to know that the company will be adding new ‘intelligent’ features to its email and calendar tools to make them more powerful, and to hopefully save you some time as well. In a blog post announcing the new features, Microsoft explains what makes them intelligent. First of all, there’s Meeting Insights, which will use Microsoft Graph technology to allow Outlook to recommend relevant information for the upcoming meeting. So, it could gather together relevant Office documents that you can refer to in the meeting. According to Microsoft, “The information includes files that have been shared with you in email, public files on SharePoint or OneDrive, emails you’ve had on the meeting topic, content shared during the meeting, meeting notes, and post-meeting content,” and the information will be uniquely tailored for each person. Microsoft has also added the ability to quickly schedule a meeting as part of its suggest replies feature. Suggested replies are suggestions that Outlook provides you at the bottom of messages you receive so that you can quickly send a reply without typing it out – much like in Gmail. Now, if Outlook detects that an email is suggesting a meeting, you can click ‘Schedule a meeting’, and a meeting form will open with pre-populated information. When scheduling a meeting, Outlook now offers ‘Smart time suggestions’. This checks the calendars of the people involved with the meeting, then suggests days and times when all attendees will be free. Finally, Outlook.com will also offer suggested locations for meetings, including conference rooms in your office or at a public place. Outlook will also show the address, opening hours and contact information for the location. These are some nice additions that will help business users more than home users, and they won’t be available to all Outlook.com users straight away, with Microsoft rolling them out while it tests them. However, as some people have noted, these feature means Microsoft is gathering even more information from your emails and calendars. While some people may think this is a price worth paying for the convenience of the new features, others may be dismayed at the company reading your emails. After all, the reason why many people left Gmail was due to Google’s snooping.